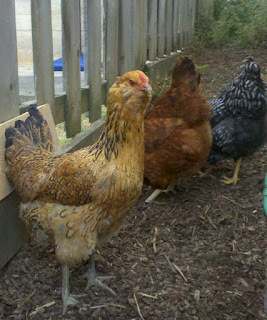 I was recently contemplating writing a post about how much Garuda has grown. She's much bigger now than when we first brought her home. This picture is not the best for scale, but she has really filled out! She is still a MASSIVE fraidy cat and at the bottom of the pecking order, but she is quick on her feet and definitely a survivor. Personally, I think she's the prettiest of the group. 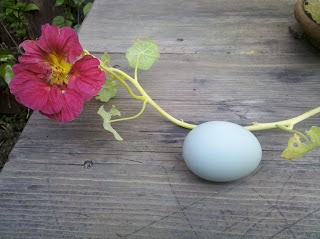 But today I have something much more exciting to share: a blue egg! Actually, it's a very pale blue-green to be specific. This Easter egg is just in time! 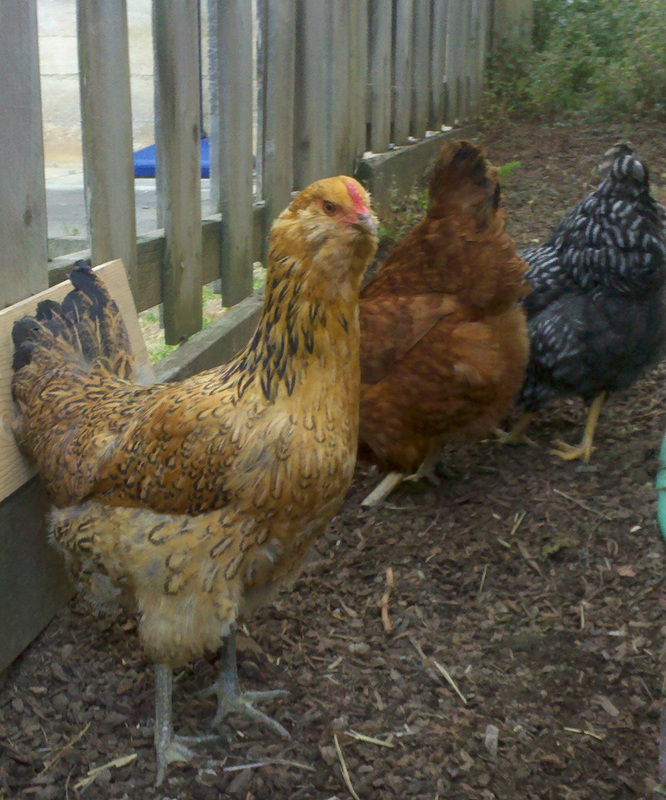 We either have a new layer or something is amiss in chicken-town. 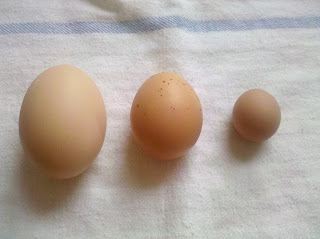 These are three of our hens' eggs, the one on the right just fetched today. The far left egg is from R.E.D., the middle one is from Checkers and the freakishly small egg on the right is either from a quail that snuck into the nest, from Checkers and she's having a moment, or perhaps Garuda finally started laying. 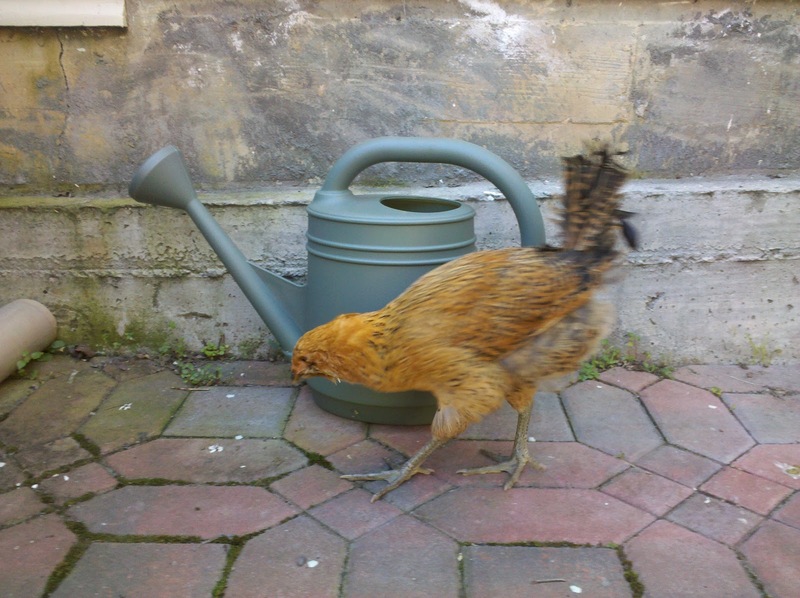 Now, I'm halfway hoping it's just a fluke from Checkers, because Garuda is supposed to lay eggs that look like this or this (and in case you were wondering, an egg is NOT a chicken's abortion). 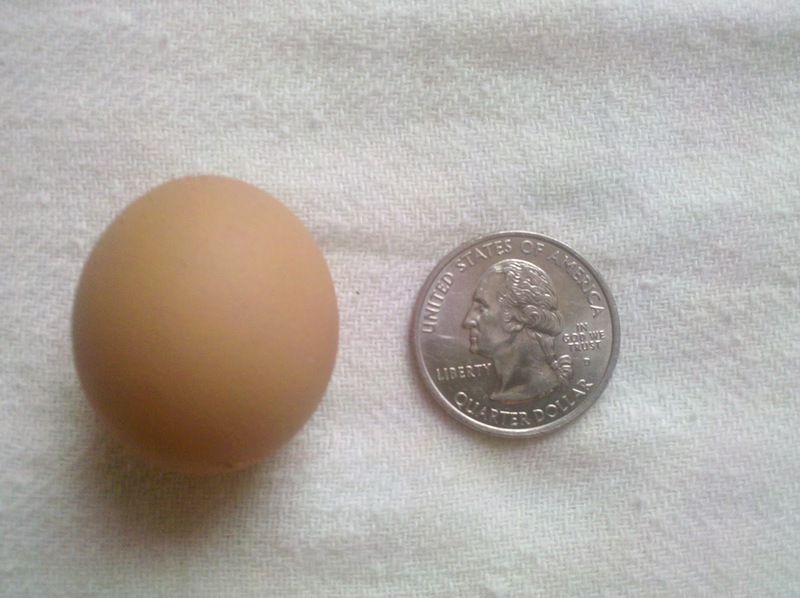 In any case, the egg I found this morning was ridiculously tiny. That is all.